Bring back the manual handbrake, says Gavin Green! ► Is there no end to the digital revolution? And that’s the trouble with so many modern cars. They have no feel. From steering to brakes, from gearshift to throttle response, from switchgear to radio buttons, most moderns are about as feelsome and deliciously nuanced to operate as your iPhone’s on-off button. Take the parking brake. 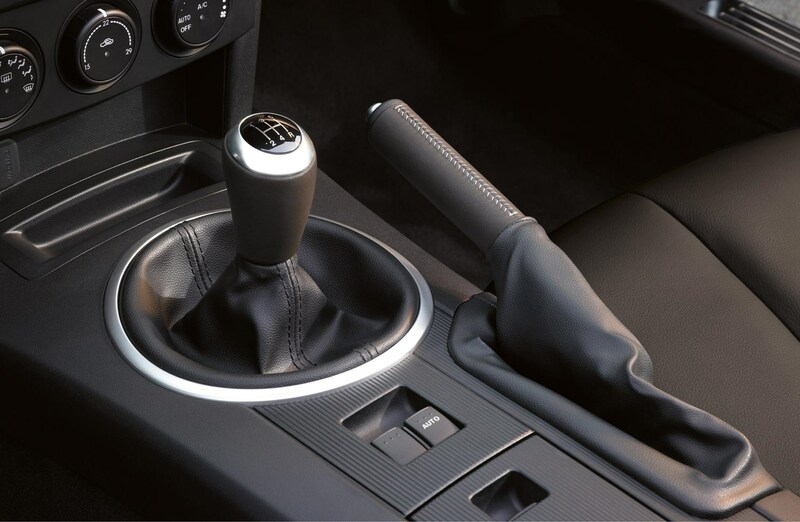 Just 37% of all cars are now fitted with manual handbrakes. The rest are electronic. Only Dacia and Suzuki have conventional handbrakes on every model. Well, praise be to them! When fitted to manual cars, electronic parking brakes are hateful devices. A mechanical handbrake allows for measured and controlled movement, especially on hills, facilitating reverse parking and low-speed manoeuvring. It allows for precision and smoothness, impossible with an on-off electronic switch. And the modern mechanical handbrake is itself a regressive step compared with its predecessor, the simple fly-off handbrake, as recently experienced on Jaguar’s XK120. Unlike the conventional handbrake, there is no ratchet and nor do you need to press a button continually when engaging or releasing. Just pull up the brake lever, and press the top button to lock the lever in the desired position. To release simply pull up and let it ‘fly off’. It was ideal for hillclimbs and rallying when the handbrake was used to control the car in motion, and was especially useful for handbrake turns. There was no danger of the brake engaging unintentionally. Now, I admit handbrake turns are not a regular sight on public roads today. More important, fly-off brakes had a lovely feel and allowed for precise operation. I could rail against modern electric steering, which has less feedback than a good electro-hydraulic or pure hydraulic system (although they’re improving). On most cars, they’re about as tactile as a gaming console wheel. Sample a good car without any power assistance – the McLaren F1, a Caterham, an Elise, and especially the original Lotus Elan – and it’s such an intense user experience, like tasting a sun-ripened Mediterranean peach in summer after a diet of British supermarket fruit. Incidentally, McLaren, the most driver-focused all of sports car makers, still avoids electric steering, and chapeau bas to them. Or take paddleshifts. They offer superior acceleration and most top-end supercars have them. But, I’m sorry, I miss that perceptible mechanical engagement as a manual gearlever meshes with a cog, and I miss the sheer joy of co-ordinating gearshift, clutch and throttle to execute smooth and satisfying progress. The 911 is one of the few top-end sports cars to offer a manual shift, and it’s one reason why the basic version of Porsche’s most famous car is still so intoxicatingly wonderful. I could complain about touchscreen ‘buttons’ replacing far more tactile physical switches. Their lack of distinctive tactility means you need to look at them to operate, whereas a physical switch can be activated by feel. I could complain that modern turbo engines lack the responsiveness of a good naturally aspirated motor, and I could point out how much nicer (and easier) radios were to use when they had physical knobs and buttons not menus to navigate. But let me end on a positive note. The best new electric cars have superbly linear throttle response and are wonderfully reactive to the right pedal. And the i-Pace is a new generation of SUV (generally, an appalling breed of car) that has decent feedback and is a fine driving machine. Just before I drove the i-Pace, I enjoyed the best single day of my motoring year. I piloted a BMW 328, an old roadster that pre-dates the Jaguar XK120 by a decade. I drove it with a dear friend on hedgerowed minor country roads, the sun shining on that blissful autumn day. We just tootled along, as the sun kissed our faces and the wind stroked our scalps, and the steering wheel did a little dance as the tyres sauntered over bumps and cambers, and we celebrated a lost age when cars were more about feel than measurement, and when sports cars were fun to drive gently. 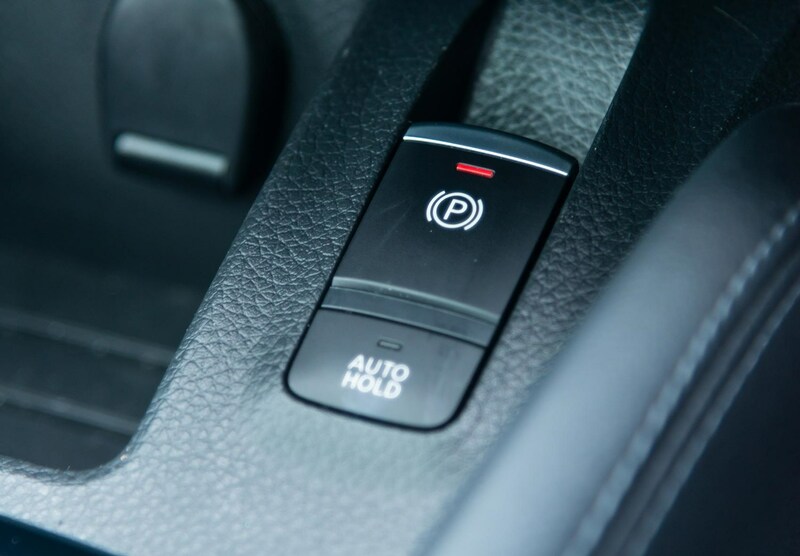 Electronic parking brakes now the norm Bring back the manual handbrake, says Gavin Green!